Corrales New Mexico is one of my favorite places to ride. On every ride in Corrales I think about stopping at the local bike shop called Stevie’s Happy Bikes. Earlier this week before we got this heap of snow I did just that. The bike shop is the best I’ve ever seen and exudes character to match the charming Village of Corrales which surrounds it. If you don’t have time to stop by or even read on through this blog post, at least visit their website and watch the two minute video. It sums up the vibe there. Total Awesomeness. The shop entrance is directly off the main street through the village Corrales Road. You can ride into the shop because much of it is outdoors in a Southwestern style open yard . The kaleidoscopic patchwork of bikes, parts and inviting stuff beckons you to flow inward. I timed it just perfectly because Steve was simultaneously rolling into the place. He greeted me and welcomed me in where I met his assistant Vaughn. Equally nice. It is clear these guys are passionate about bikes and are actively building community through their work, winning over people, and making big differences speaking through their happy labors. You’ve got to go see them and leave there riding a wave of bike passion, perhaps on one of their one of a kind happy bikes. 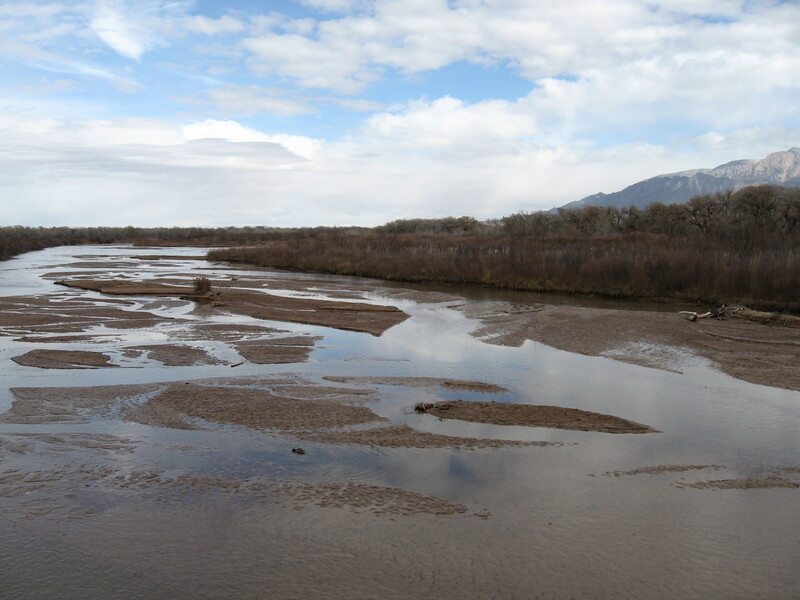 The riding in Corrales is fitting to the local flavor with an earth toned elegance. They have wine tours by bicycle. You can see lots of quail, horses, llamas, grape vines, raspberry bushes, farms, tractors. And people riding horses, bicycles, and walking everywhere. There’s a nice network of trails along the acequias, river, and roads. In Corrales the traditions of the simple things in life that make a big difference move seamlessly onward. Thank you Stevie’s Happy Bikes for promoting and supporting the bike way and for being a positive factor in the world. They’re my bike org of the month for February 2015. This entry was posted in Bike Org of the Month on February 28, 2015 by bikeyogiblog. I don’t know what this song is supposed to be about but it makes me think of suddenly recognizing something from the past. An emergence deeper than memory. Something we intimately know that is etched in the fingerprint of our DNA. This is the kind of connection biking and walking makes for me. It brings forward a relationship that I can’t quite finger. What’s old is new again. When I ride the I-40 Trail I travel by public art works and a nice garden built in the median of the interstate. 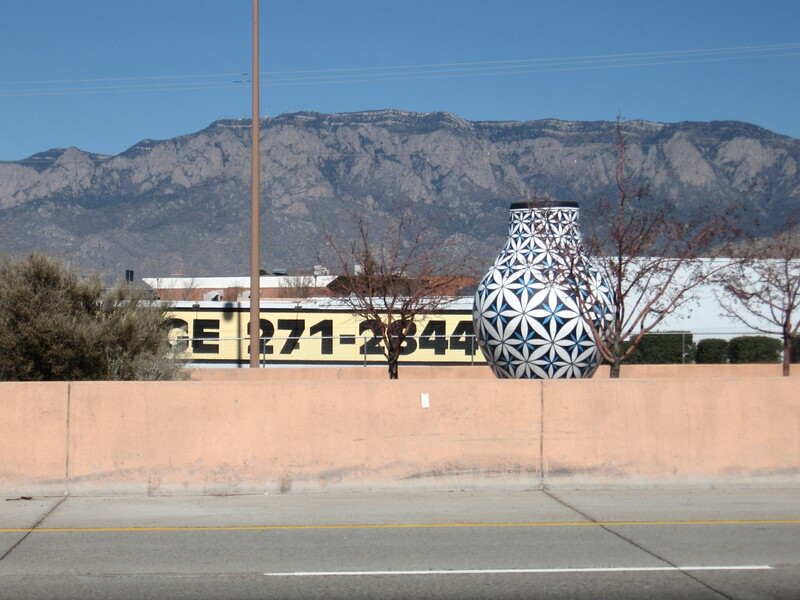 There are pueblo style vases deposited there all blown up to gigantic scale so people can see and process them at high speeds just like everything else that is constructed on the highways we are supposed to pay attention to like the signs and lane markings. I stopped the other day on the Tomasita street bike/ped bridge to take some photos of this lovely installation. An image came to mind. Here in the arid west many rural residents haul their own water since supplying it from a well is unfeasible or too expensive in this dry land. You see these pick-up trucks with bending rear ends loaded with a sloshing water tank headed for home. The tanks are round and made of plastic. I imagined using these old style vessels instead lashed to the bed with ropes made from yucca with a little water overflowing from the top splashing down the darkening clay sides. Santa Fe style water delivery. Maybe that’s not the ideal innovation to improve Southwest living with the infusion of classic traditions. But when I see the joyful faces of youthful people bounding over the Tomasita street bridge to and from school that registers as a great application of tradition that’s making our cities more elegant by manifesting a resurgence of human presence in the landscape. Albuquerque has many excellent infrastructure assets that are foundational to facilitating good walking and biking in this town. Human powered movement is an old fashioned style but it matches this young nation and its young citizens very well. Walking and biking is a good means and has a multiplier effect on good ends. Getting these traditional ways of moving reintegrated properly in our transportation system is appropriate and elemental for building up the whole community and relighting the candles from our natural heritage of wisdom. Increasing this kind of development is a clear win all around. I like driving a car too but why make such a big haul in the instances where we can flow more efficiently by our own power with barely any resistance like water running down hill. Keep it light and inexpensive. Make it easy if you can. Efficiency is key to transportation economies. Biking and walking are an important part of the transportation mix requiring attention. We need to smoothen out more pathways to apply this simple technology on a scale appropriate for our basic needs. We’ll benefit from using walking and biking more to our advantage. When I look in the faces of people moving naturally under their own powers I recognize something ancient and free. A way to touch common ground. Walk and bike facilities help people develop fuller powers, grow mastery over their mobility and relate on a human scale to their living environment, our neighbors, our home towns. We might see places we haven’t imagined as we develop this kind of material investment. Walking and biking is a basic means at the confluence of practical, economical and healthy. Unlike the vases in the pick up trucks healthy transportation is a good fit. Not overblown or too fancy. Original ways of being that still suit us well with lots of useful applications. I’m following the lead of these young people. 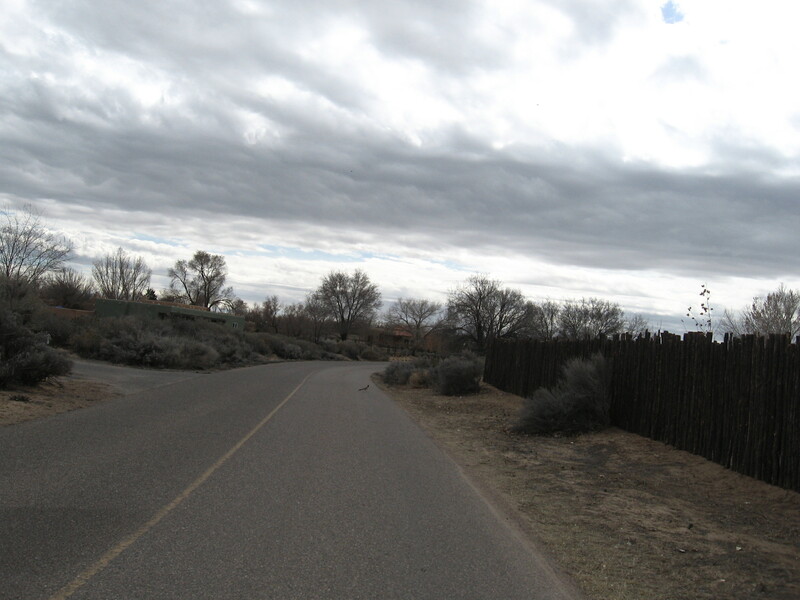 This entry was posted in ABQ bikeways planning, Walking on February 19, 2015 by bikeyogiblog. Eric Whitacre’s Lux Aurumque is a good soundtrack for this post. My body is my first environment. Sometimes I feel guilty for bicycling as if taking care of my body is unimportant. But then I remember my father saying and his father saying if you have your health you have everything. And I find the courage to trust my intuition and this wisdom. And I feel better again about bicycling. Doubts are hard to overcome, and we get too busy. Creation stories relay with the centrifugal force of myth how humankind was generated from the earth, soil, dust, parts somehow molded like clay into human form. Science traces our composition to elements of the cosmos. People are inseparable from environment. This is why place is so important to us. The bond is mesmerizing but simply real. When we are thirsty we drink a glass of water and replenish with calcium, magnesium, sodium, the minerals that make up the earth, carried in a water solution that washes through our bodies. When I’m cycling I’m getting direct feedback on how my body is doing, and I can extend this out to get a look at how we are doing in shaping our places. It gives me a local context, the sights, sounds, noise, smells, sensations, sense of place. And I have a reference, knowledge and experience to understand issues on a larger scale. Seeing things for the first time and getting good feedback changes the way we act. It is part of learning and adapting. We understand how we live in an interconnected closed systems with limits and realize the underlying fragility, and therefore preciousness. And so it is with cycling. I would be foolish to think I can go beyond the limits of my nature, though it is instructive to get a sense of where those limits are. The focus of acting within our limits produces greatness. When I get worried about the abstract earth, one of the best things I can do is to take good care of my body. This is where it all starts. Eating good foods, respecting my connection to place and society, and the interconnections of my mind, body and spiritual life. I don’t know how it happens but if I listen intently, appreciate life, trust and reflect, my experience teaches me something. I’m still learning. Everyday I try to ride my bike intently. Biking creates a good life. This entry was posted in training, Uncategorized on February 18, 2015 by bikeyogiblog. A bike ride can be a good way to clear the mind and open up the heart. If you want to match what you do with what you think the bicycle is a most beautiful way to be in the world. The small rituals of prepping the water bottle, dressing in the functional clothing, and adding air to the tires coupled with a careful going over of the equipment quiet the mind. 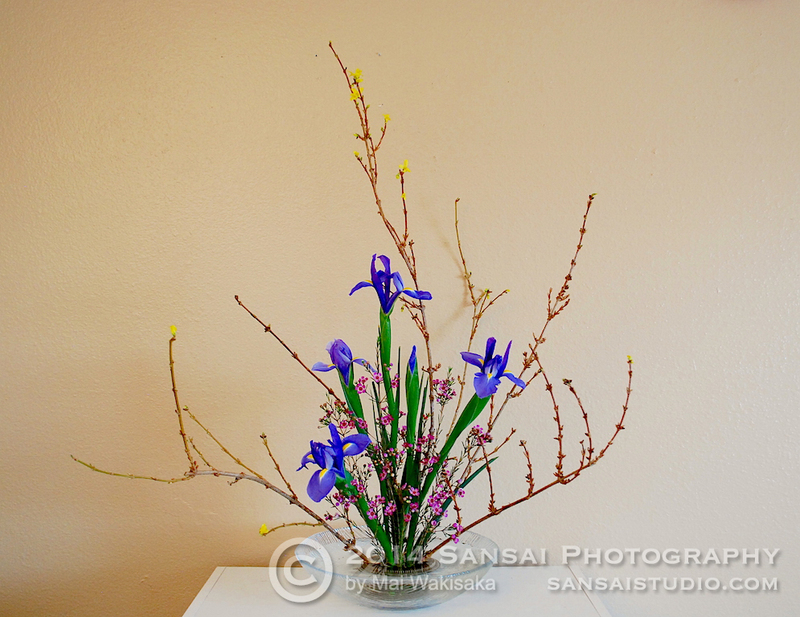 Walking through the door out into the open awakens the sense of beauty. 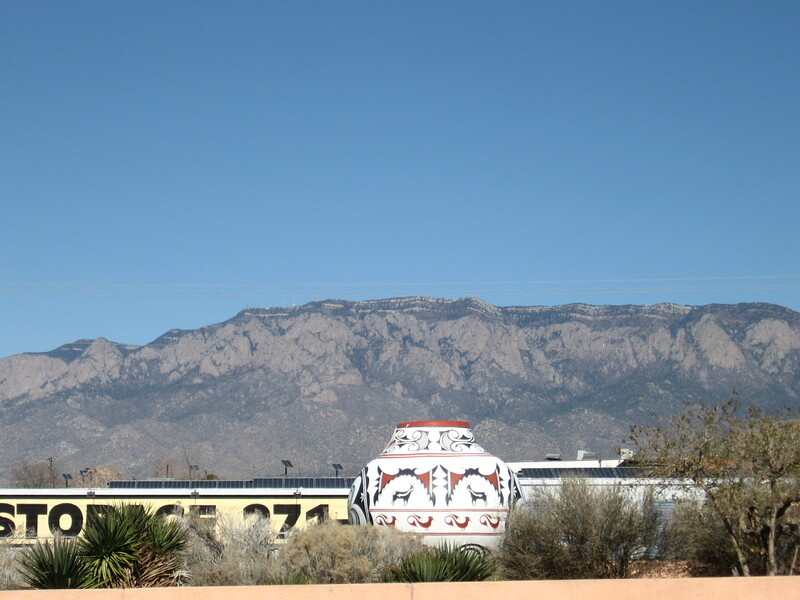 I look around here in Albuquerque and I’m wreathed by mountains. I spread out my attention to the mountains enfolding me. Something like laughter bubbles up from inside. I touch the tips of the handlebars and press my feet against the pedals. I feel the symmetry of will and action. Rolling forward I’m instantly engaged in a smooth flowing enchantment. Even though I know where I’m headed it feels unscripted and free. Subtle sounds like children’s voices singing and birds chirping open my sphere of awareness further. It’s easy taking in the world through my senses. I pay attention to the beat of my heart, and I look up in the sky to the sound of a raven’s wings flailing, her head swiveling her sights around. The wide open cockpit keeps me close with my immediate environs. The bike’s agility and quick reflexes develops my eyes and coordination as I pilot forward up the road. At times I elicit big spontaneous smiles from people as I ride by. Maybe it is because my own mouth is turning upward like a slivered crescent moon u-ing up to sky. I concentrate on the rolling motion of my legs turning the pedals round. I breathe in deeply then expel the air. I pay attention to the landscape. My senses beam outside. The scent of fresh pine comes to me. The tan desert plants in the dry sandy soils flutter in the breeze. For some reason I look above and there is an eagle in a motionless glide on a current of air. I feel a relaxed joy. Whether I ride in the early morning under the yellow orange sky or past noon in pure blue daylight, bicycling keeps it simple and makes me attentive. I appreciate what I have. I have everything on the bike and want for nothing. You can’t harness this moment. But you can feel the rejuvenation and resiliency the present bestows. Enjoy your ride. This entry was posted in Everyday Rides, exploring by bike on February 17, 2015 by bikeyogiblog. Racing exercises our discipline and challenges us to get the most from our bicycling potential. I bicycled for years as part of my everyday lifestyle before I even considered racing. But once I raced I was hooked on the intensity, camaraderie, and pinpoint concentration. What can you do if you channel your drive? Diving in for that challenge makes every other part of bicycling sweeter. Goodnatured competition can send positive ripples through one’s life. Here are a few racing experiences that stand out in my memory and keep me coming back and learning more. 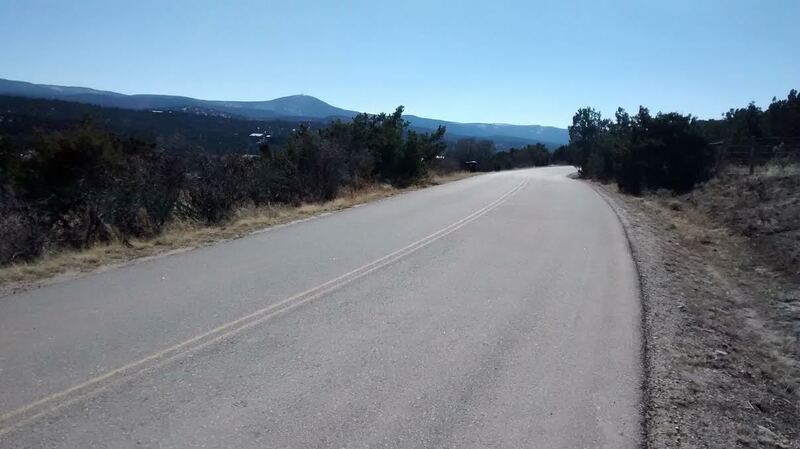 Las Campanas Classic, New Mexico State Road Race Championships, 2015 This race took place on the outskirts of Santa Fe on a fun circuit course. I didn’t have any expectations. I didn’t have teammates to help me, I felt tired, was racing on my mechanic’s spare wheel (tight budget), and got a flat during the race. However I just hung in there. You can’t win if you quit. I did the race the previous year and learned a little about the course. In 2015 I was still hanging around near the finish and I timed the effort to make it work. Sweet surprise. Full report here. 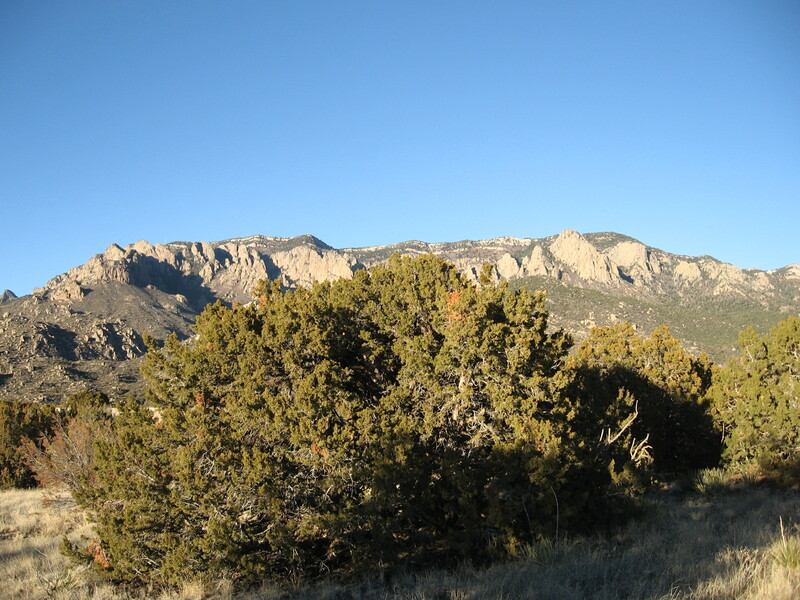 Sandia Crest Road Race 2015 I’ve been coming to New Mexico for years to participate in the Sandia Crest road race. Never won it but got to see some great bicyclists, Drew Miller, Geoff Kabush, Ned Overend, Kip Taylor, Fortunato Ferrara, Damian Calvert. This year I pedaled from home that morning and just thought about relaxing and waiting for the final climb to see how it would sort out. But instead I found myself in a four man breakaway from nearly the start and I ended up winning the King of the Mountain over Heartbreak Hill and then hanging on to grind it out to come in first across the line at the top of the Crest. I think this is one of the most beautiful races around and I never expected to be in a position to go for it. I’m grateful. Arizona State Road Race Championships 2014 This was my first race of the 2014 season and I’m so glad I made it! Sometimes the highlight of a race is having a first row seat looking at an exceptional performance. It is gratifying when the exceptional performer is on the same team as you. Paul Thomas had an amazing day and took the whole thing while trying to set up his teammates for the win. That’s Paul second from left in the photo above. I’ll never forget the effort I saw that day, and the gratitude I felt for being part of the teamwork. Go Landis, go Paul! Mt. Graham 2013 This was a pretty sweet win. It is my favorite kind of race and the Landis-Trek team gave a blistering leadout at the base of the climb. They overpowered the field. Great teamwork makes a win a community outcome. This was shared with so many special people. Mai and I also made it a relaxing trip and took time for the hot springs and went to the fair in the nearby town of Safford the afternoon before the race to take in the local vibes. AZ State Time Trial 2013 Mai took this great picture. I don’t know how she got it because it was on the closing part of the course and I was going all out. The time trial is one of the hardest disciplines because you have to push yourself relentlessly for about 50-60 minutes without letting up. It is pure suffering. But the release you feel afterwards is worth it. I had to try a long time for this. I’d been beaten at this race many times. Persistent hard work pays off. I’m grateful to Mr. Sam Landis at Landis Cyclery on Warner Rd. in Tempe, AZ for fitting me on this Trek time trial bike. 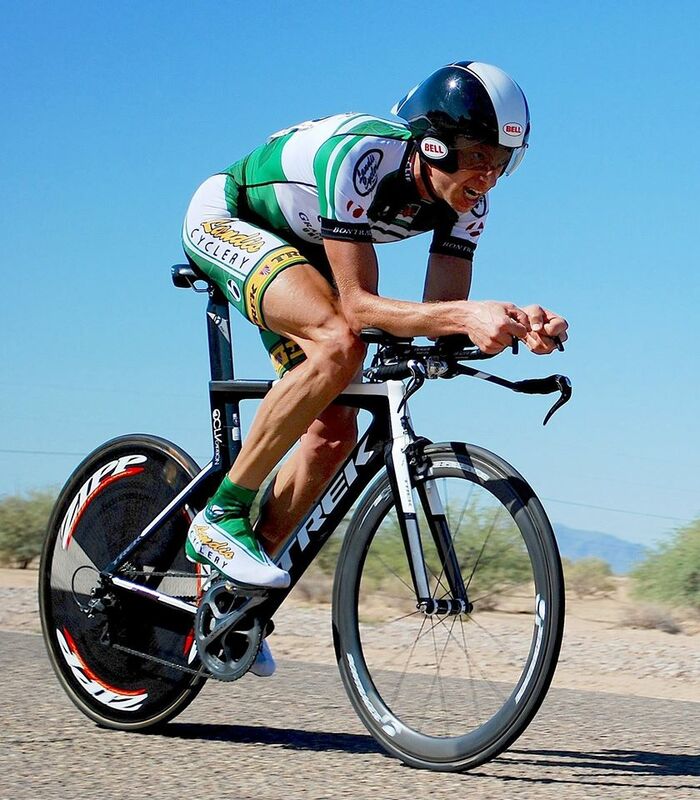 Sam’s time investment with me early in the season helped me train comfortably on this bike. I’m grateful for my teammate who lent me his rear disc wheel. Most of all I’m thankful for the Flagstaff Saturday morning community group ride for making me faster over all those years spent having good, healthy, clean fun out to Mormon Lake and back. 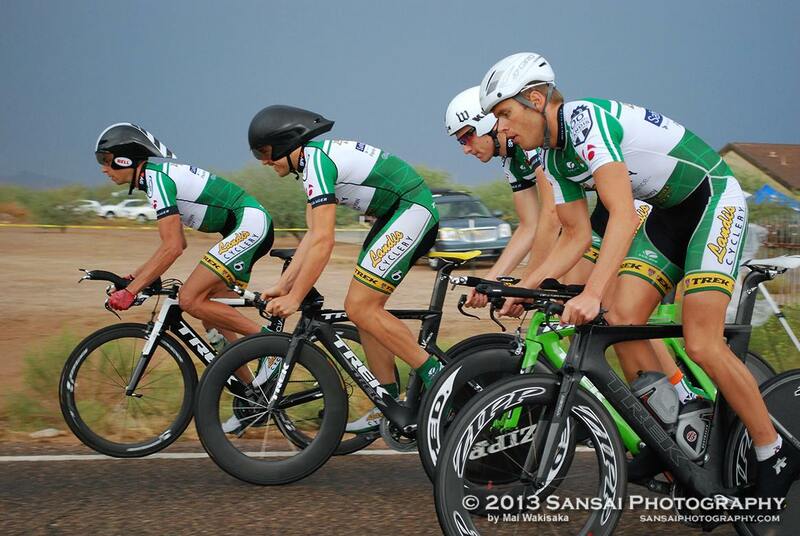 AZ State TTT 2013 The Team Time Trial requires discipline. Four people work together to go as fast as possible over 40 kilometers. You are going almost all out and you have to coordinate with finesse & precision. The attenuation and synchronization this takes is supreme bicycling practice. This year I met Lewis Elliot who guest rode with us. 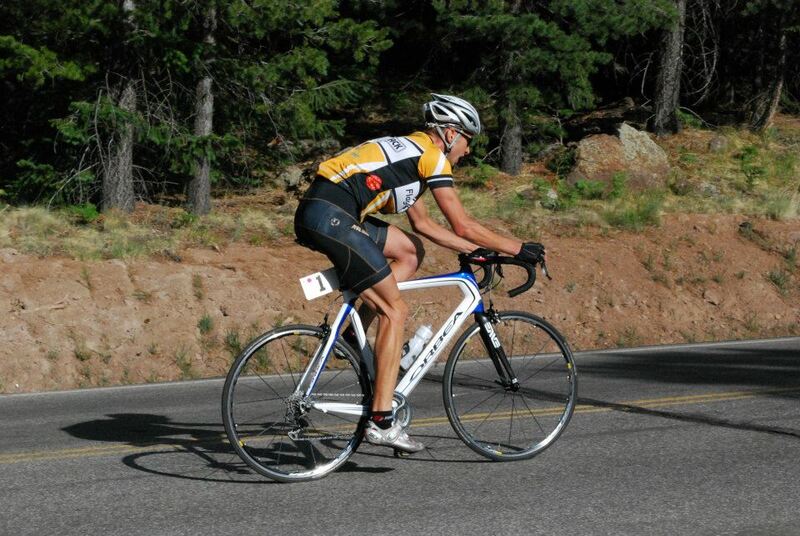 He’s an amazing athlete and a testament to what cycling for joy and health can do for you over the long haul of life. We all finished together and went fast and kept safe on a rainy day and brought one home for the entire Landis Team and White Mountain Road Club community (the WMRC sponsors the Landis-Trek domestic elite team). Once again I had a front row seat to watch these amazing athletes perform. I’ll always remember Lewis pulling for a long time letting us sit in his draft. I thought how could he possibly stay on the front so long. Superhuman but he made it look so easy. The mark of gifted athleticism, a dedicated team player, and a strong, selfless person. Snowbowl Hillclimb 2012 There is nothing like racing from home on a Friday morning. I took the morning off from my job, rode out to Snowbowl, and raced. 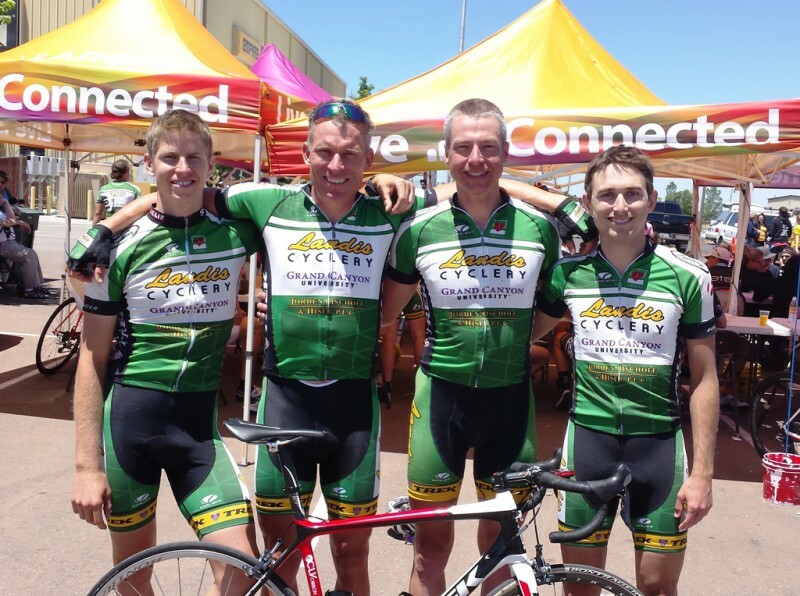 This year I was racing for my local club Flagstaff Cycling. 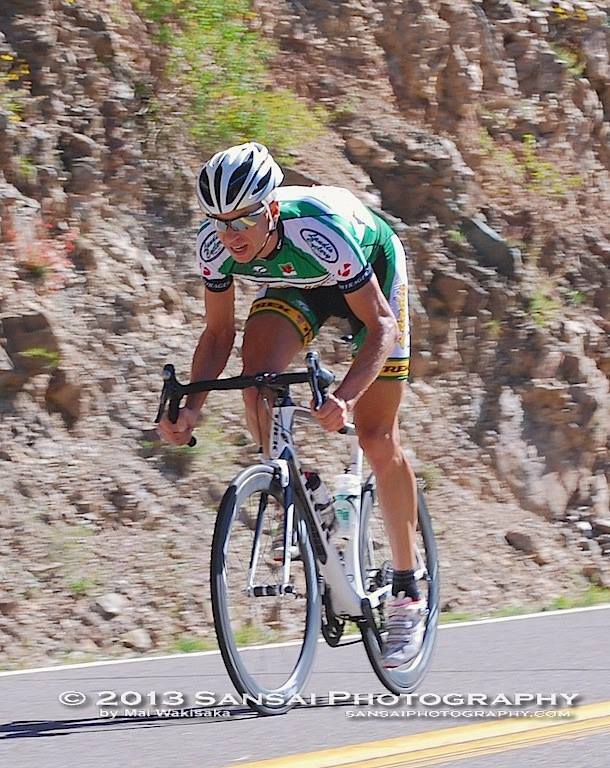 I had a rough start to the season but finally had some success at the Tour of Gila finishing 8th in the time trial on this road bike with those less than aero Kysrium wheels and I raced smart to win the Tour de Los Alamos in June. Even though this bike was an entry level offering equipped with Shimano’s third tier 105 group (with Ultegra cranks thanks to Joe Shannon and Single Track Bikes) it went pretty fast up Snowbowl Road that day. It was satisfying to ride well in the morning and return to my job by lunchtime and serve. I think one reason is that climb is so special in Flagstaff lore. For 2016 it’s back on the calendar Sept. 18. Arizona Team Time Trial 2012 This was such a joy to race with this group of good neighbors from Flagstaff. 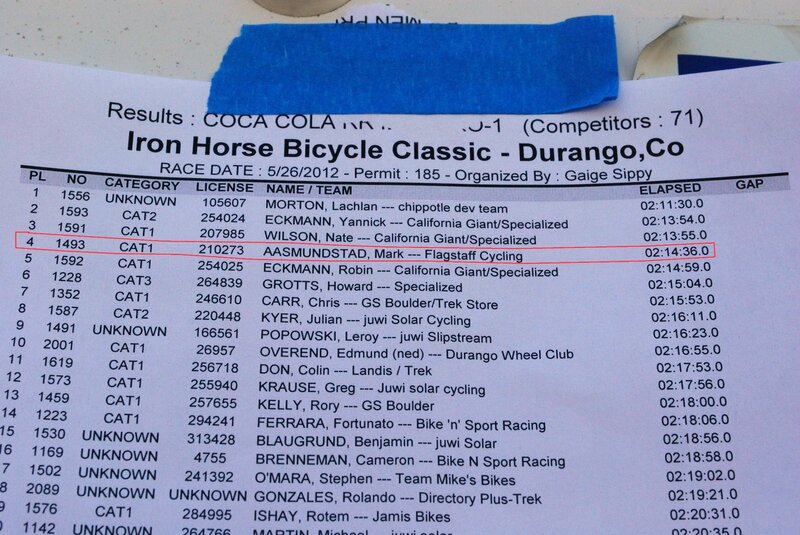 We ended up second on the day but the team that won had Eric Marcotte, Travis McCabe, and George Cyrus on it. If you don’t know that is the current national champion, current national racing calendar leader, and 2012 AZ individual time trial champion. We put together a grass roots team and had so much fun training on waning summer evenings bicycling deep into the pine woods and past the jeweled lakes on Lake Mary Road. We did a really good job working together. Ryan was still using junior gearing. Robert is as solid and humble a rider as I’ve met. His effort is so quietly fierce, I kinda know how good of an engineer (his profession) he is just by riding with him. 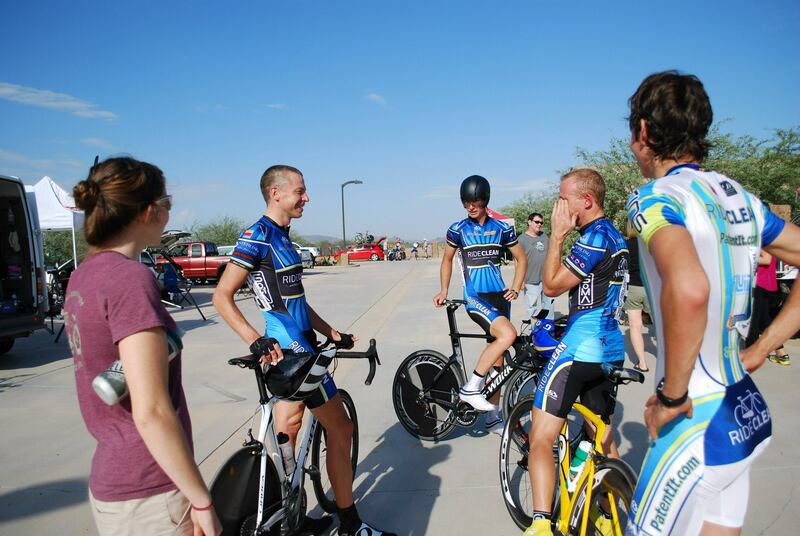 David is so full of enthusiasm it is easy to see why he has been a key member in the NAU cycling team and fabric of the racing community in Arizona. David kept calling out our progress on the course, so cerebral with the wherewithal to blend mental discipline with physical effort. It was so fun suffering with these guys that day. Pure seamless team energy streaming down the road. I’m humbled to race with these guys not just because the depths of their cycling talents are yet charted, but also because of who they are as people in their families and in their professions and in their communities. Thanks for a special ride. Ironhorse Bicycle Road Race 2012 There is nothing like cresting two San Juan Mountain passes at over 10,000 feet elevation and soaring down into Silverton for the race finish at the Ironhorse. This was a special day because I got in an early breakaway and was leading the race solo near the top of Coal Bank pass. The race director’s car pulled up next to me and from the window came a voice, someone’s coming. I looked and a rider was approaching. I took deep breathes and tried to relax and get ready to latch onto the wheel. That rider was Lachlan Morton, a professional who has won a climbing stage in the Tour of Utah and is one of the best pure climbers on earth. I spent a few seconds pedaling with him then watched him go. He was about two gears faster than me. I’ve never seen someone sail up a climb like him that day. Sometimes in racing you get to see the mark of where the top level is at. Even if it seems unattainable, the incremental steps are more focused with that picture in mind. This race is so special for the way the community gets behind it. The way the Animas river rushes down the valley gorge during Spring runoff emanating from those high sculpted peaks with deep white snow patches. I am looking forward to going back there. It is an out of this world experience, but totally cool at the end to hang out with everybody else not the least the citizen riders who just accomplished an amazing feat riding their bicycles up and over two mountains. 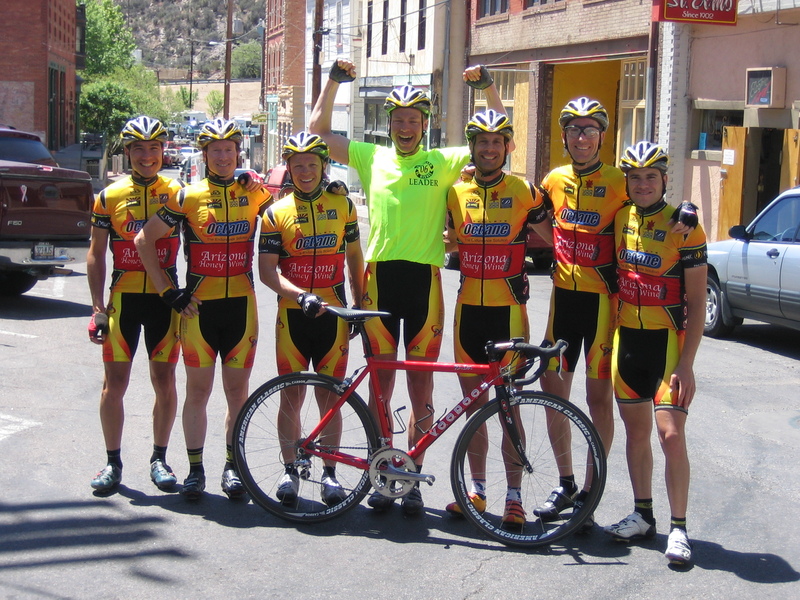 La Vuelta de Bisbee 2006 We won the Master’s Race as the Grand Canyon Racing team my first year road racing in Arizona. I was a Category 4 (pretty entry level) racer and no one knew who I was. This was a super race because it had four stages and we had to plan and strategize together how we would approach every situation. 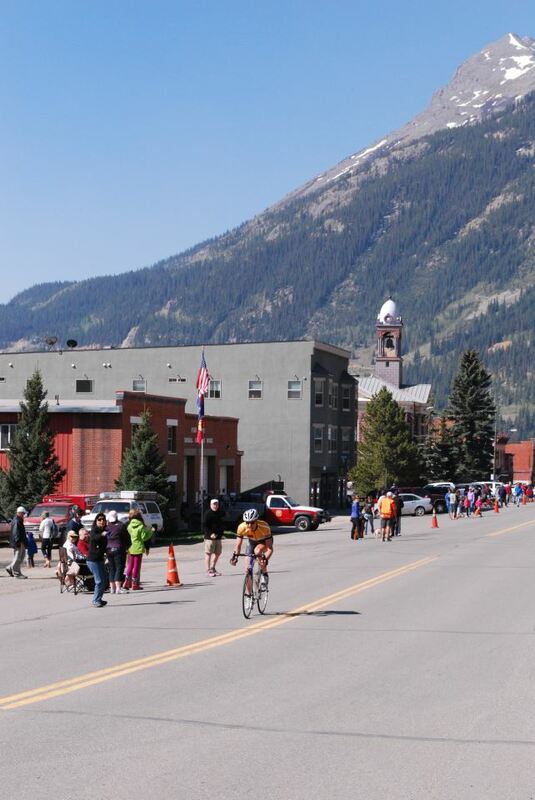 Stage races have complexity and they also bring into play the elements of recovery, nutrition, and overall well being a little more than one day races. I learned road racing as a team sport in Reno and this race with our capitan Doug Loveday was the best exercise of teamwork I’ve ever experienced. It was like living the dream and waking up to a happy conclusion. What a surprise. I could not have won the whole thing if it wasn’t for the confidence Doug and Rick bestowed and all the effort and sacrifice from everyone of those guys. Road racing is a team sport and these fellows did the most to teach me that. I’m still trying to work it off for them and do my part to pedal the good energy forward. I returned to work on Monday and felt things would never be the same, in a good way. This entry was posted in race report, Uncategorized on February 13, 2015 by bikeyogiblog. US Secretary of Transportation Anthony Foxx was on Charlie Rose discussing “looking at the horizon” in transportation investments, policy and planning. Our inherited infrastructure needs renovating everybody knows, but we also need to experiment with new kinds of development that incorporates more opportunities to grow travel options for people while enhancing economic quality and environmental stability. We have to walk out of the shadows and start having the right conversations. 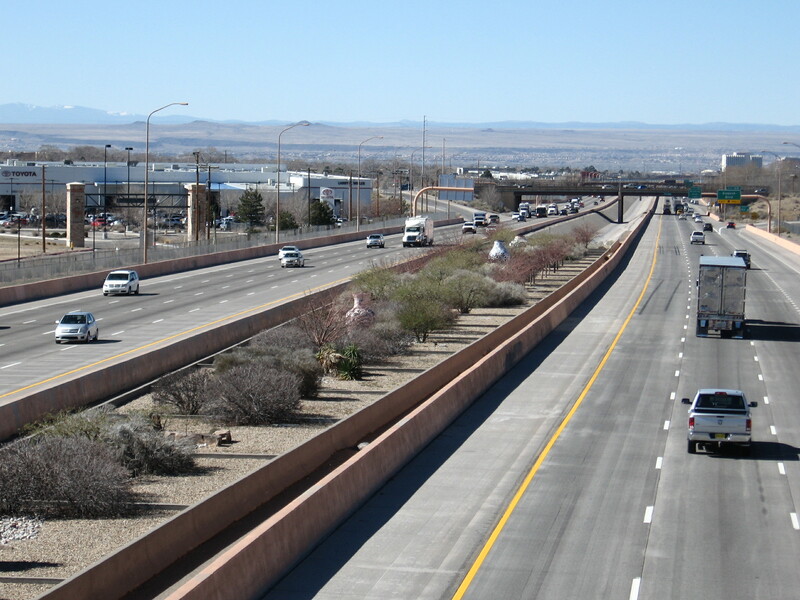 In Albuquerque the Complete Streets initiative that just passed helps shift the paradigm. “Our city engineers, traffic engineers, city planners and the biking and pedestrian community are all involved in the design of new intersections and streets, or the re-design of old ones”, Foxx said in a USA Today article. Through his Mayoral Challenge Foxx is spearheading conversations to drive and share best practices for integrating safety for people biking and walking. It is great to see this leadership framing the transportation discussion around protecting our greatest assets, our citizens, and keeping everyone healthy and moving! It begins by getting the budget in order and planning together for success. 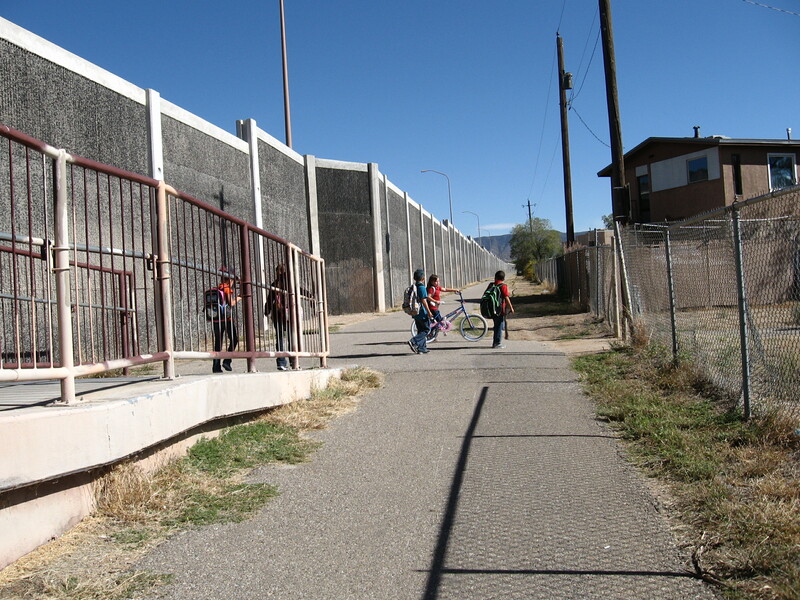 I could see a future installment in the Albuquerque Bernalillo County Public Library “People Create Cities” focused on the biking and walking communities’ participation in shaping the future form this great city is in the process of taking. This entry was posted in ABQ bikeways planning, Bike Sense = Design & Education on February 10, 2015 by bikeyogiblog. 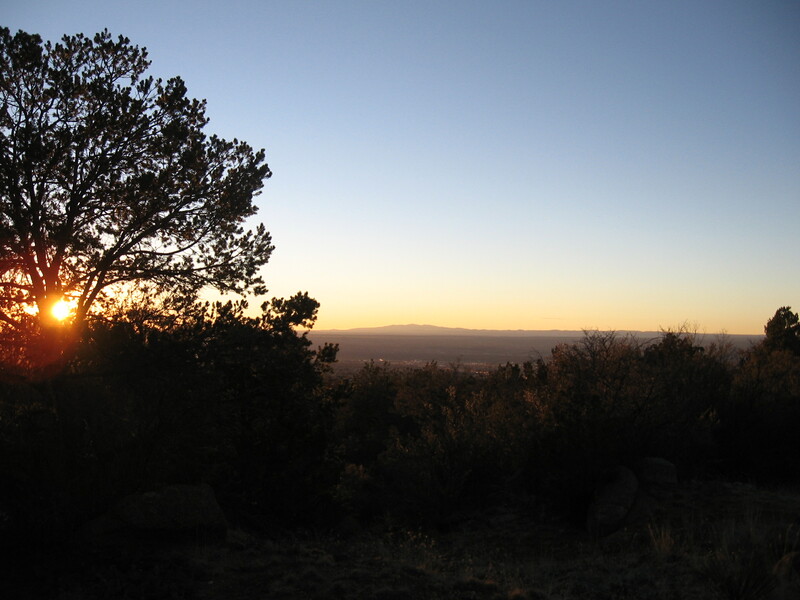 “That day changed me…That one day that I watched the crane fly away gave me peace and love for nature and wilderness.” –Kate Stratton, sixth grade, overall winner of the Aldo Leopold Writing Contest, from New Mexico WILD! 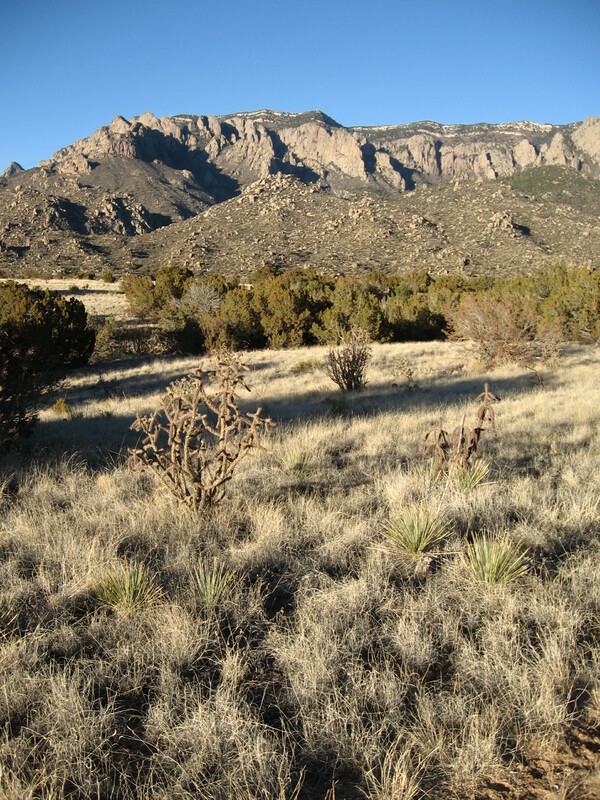 , the newsletter of the New Mexico Wilderness Alliance, Fall/Winter 2014. I called the Open Space Visitor Center this weekend to see if the cranes could be seen flying out but Charlie said they close at 5pm and the cranes stay in the field until after that. 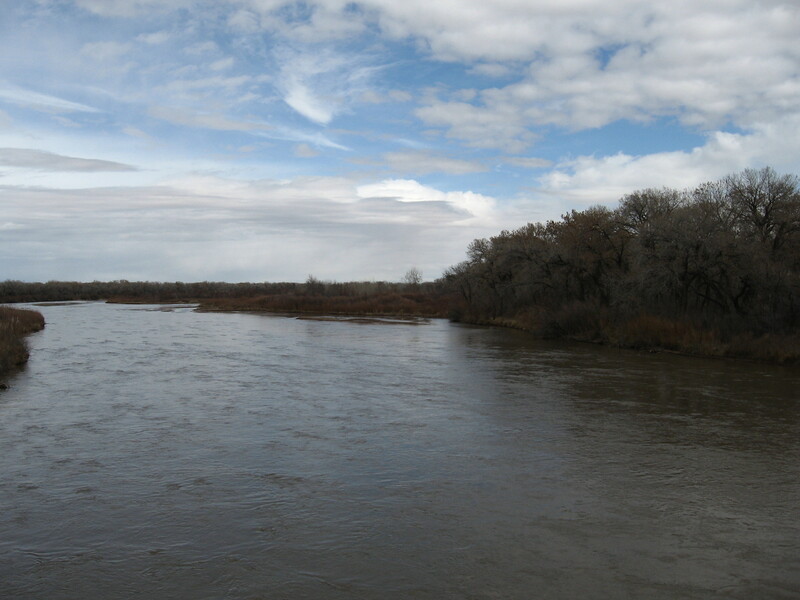 I called the Bosque del Apache refuge and Beverley said almost all of the cranes were gone for the season. It is a good thing we already visited with the cranes on several occasions this winter! Some day we’ll have to go visit them at their summer home above the arctic circle in Canada at Banks Island and Alaska. Now that would be something else! Knowing the cranes have mostly migrated away for the season made me feel like life is slipping through my fingers. Those cranes were an incredible lift to our first season here in New Mexico. They delivered a great peace indeed. Now we’ll have to wait until the next season. We’ll be here for their return. 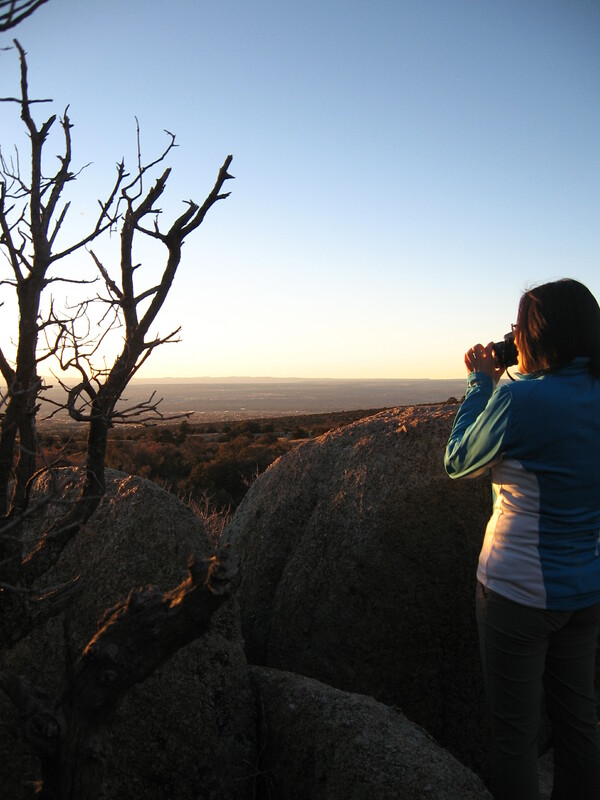 Mai and I did get to Elena Gallegos Open Space for a hike Saturday late afternoon. 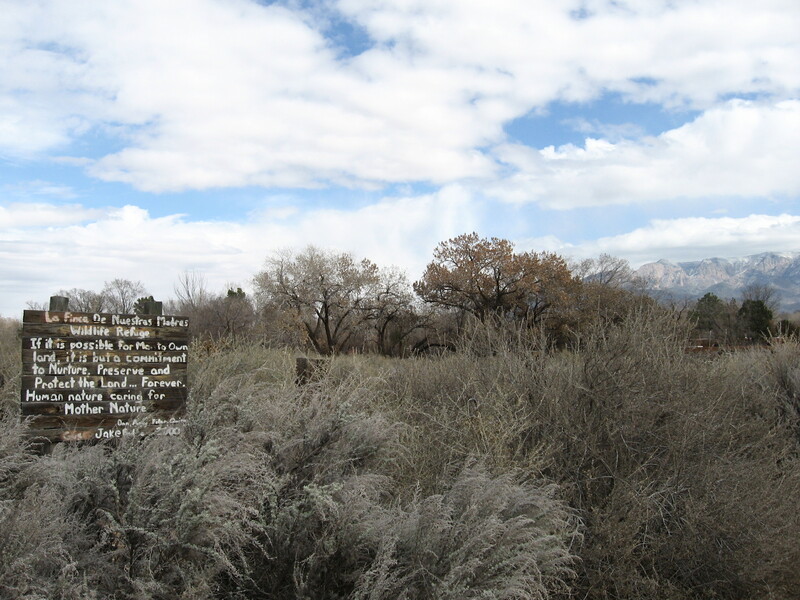 Thanks to the foresight and generosity of a family, land in the foothills of the Sandia Mountains was bequeathed to Albuquerque. This wonderful interconnected parcel of open space preserved for low impact uses is forever part of the public domain. The Foothills Open Space provides a nice buffer to the wilderness in the mountains above, and like the rim of the Grand Canyon, I’m very glad it was not privatized and divided up from landscape into real estate. Conservation bestows lasting benefits. 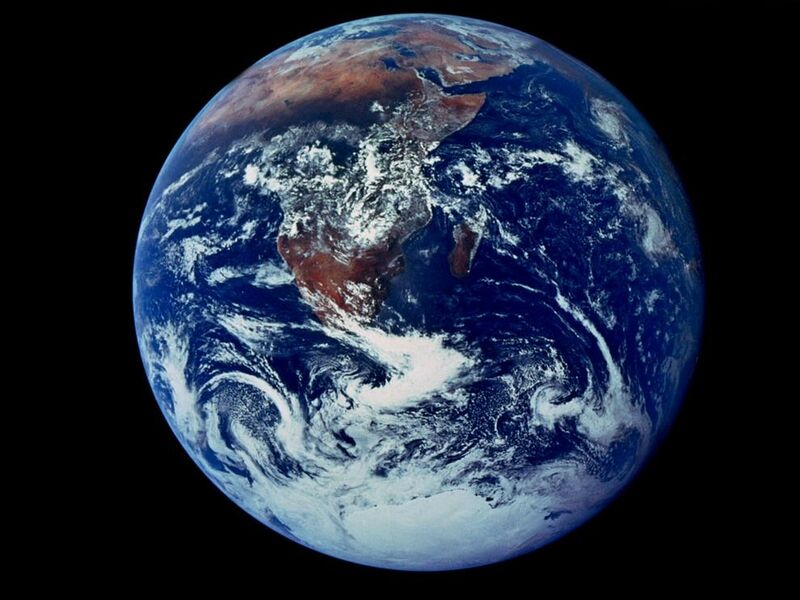 We can still use the land, we just don’t use it up, exhaust it, or degrade it. We maintain the landscape’s resiliency. Spending time here, as with the cranes, softens our hearts and opens our minds. The animals at Elena Gallegos were mostly hidden but you can still sense them with your natural faculties. The bears must be hibernating but slowly awakening. Mountain lions and deer all around. 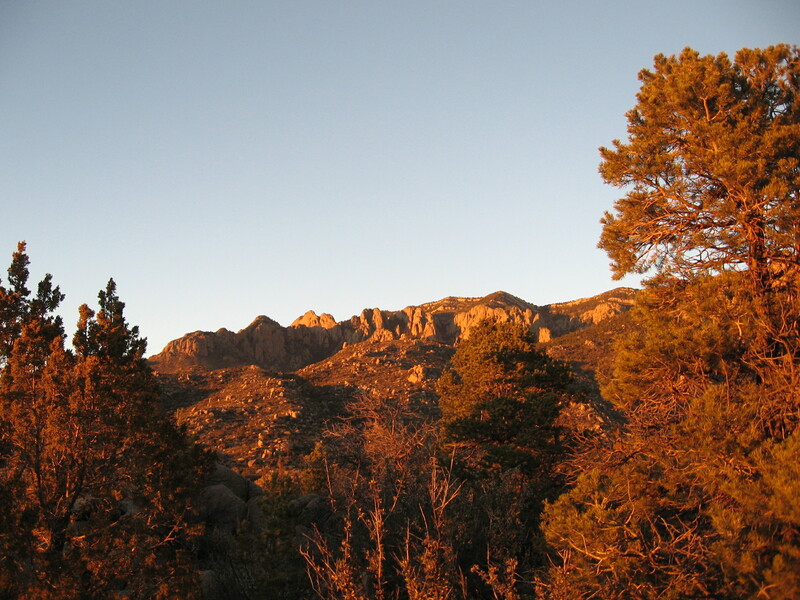 The Sandia Crest so near you can see the vivid light moving over the textures of the rock faces and the whole range slowly reddening as the sun drops down over the distant mesas and continental divide bathing the earth in yellow light. Truth is life has not been slipping by at all. The cranes and the sun always come back around. We just have multifaceted focal points. For me I did a couple bicycle rides over the weekend that mean an awful lot. On Saturday six of us did a group ride through Tijeras, down South 14, back on the 217 “the rollers”, working our way through Sedillo Hill and then on up to the Ski area on Sandia Crest. This was a group ride with lots of climbing and a lot of good exchanges amongst the riders. Sunday I rode up to the top of the Crest. From Elena Gallegos I felt like I could reach out and touch the mountains and the next morning I pedaled my way up on two wheels. Both days had over 2000 meters of climbing on the bicycle. Sunday afternoon we hiked in the foothills around “the mound” off of Copper. There are so many trails so far we have ended up doing something new every time. Monday is work and then the Greater Albuquerque Bicycle Advisory Committee meeting from 4:30-6:30. I am serving as the representative for the Northeast city quadrant. I’m really looking forward to converging my experiences with planning and geography, health and mobility, nature’s economy and human living, at the nexus of the bicycling life in Albuquerque. The cranes bring us peace and with bicycling we can get out there in touch with all the finished beauty, including ourselves as a people. 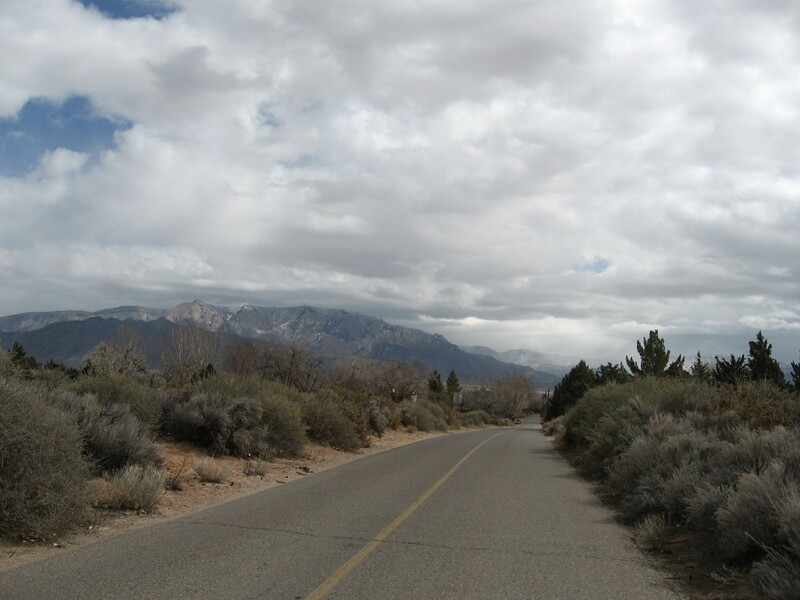 This entry was posted in ABQ bikeways planning, Everyday Rides, Open Space, Walking, Wildlife on February 9, 2015 by bikeyogiblog.